On Sunday, February 18, 2018, the Calgary Hitmen faced the Saskatoon Blades at the Scotiabank Saddledome. 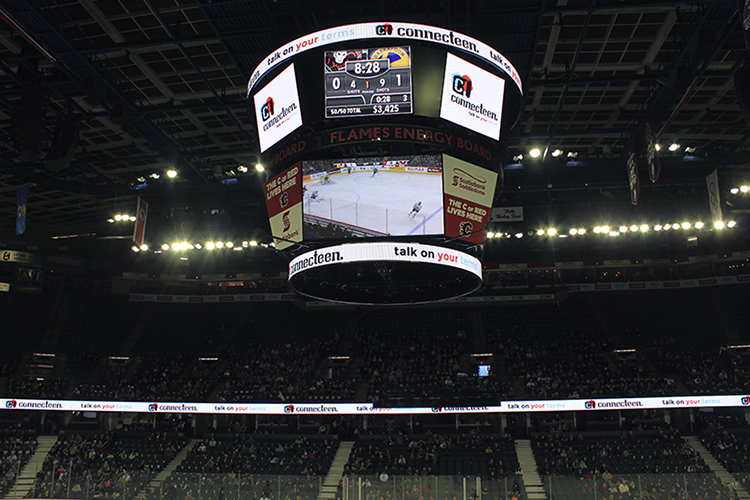 The Hitmen unfortunately lost 1-5 against the Blades, but thousands of fans still enjoyed a great game and had a chance to learn about Calgary’s youth peer support service, ConnecTeen. 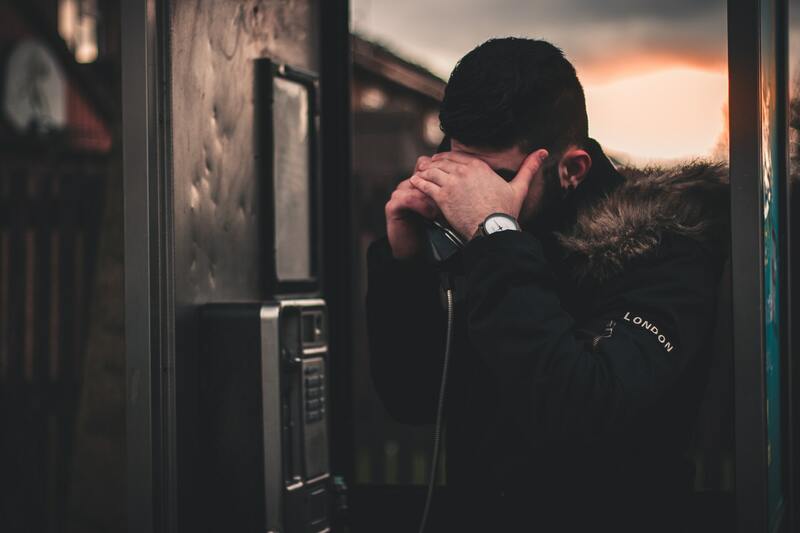 ConnecTeen provides confidential peer support to Calgary teens by phone, text, chat and email. $2 from each ticket sold using the code TEEN was donated to ConnecTeen, as well as a portion of the proceeds from the 50/50 ticket sales. 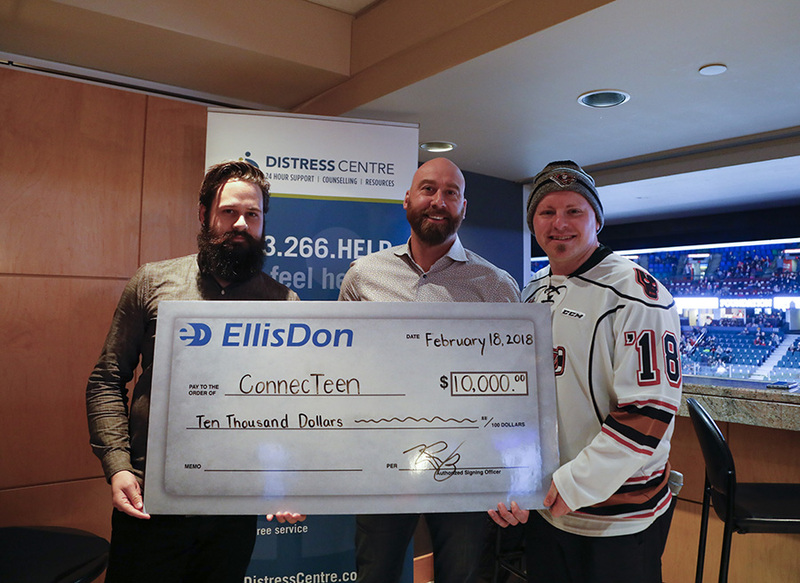 EllisDon has sponsored the ConnecTeen Hitmen game since the very first game in 2010 and presented ConnecTeen with a check for $10,000 at the game. 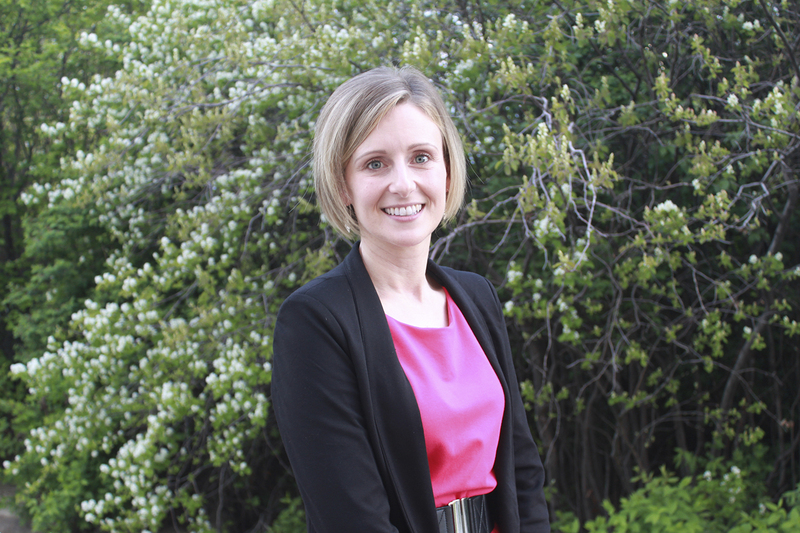 In their nine years of sponsorship they have donated $85,000 to ConnecTeen. 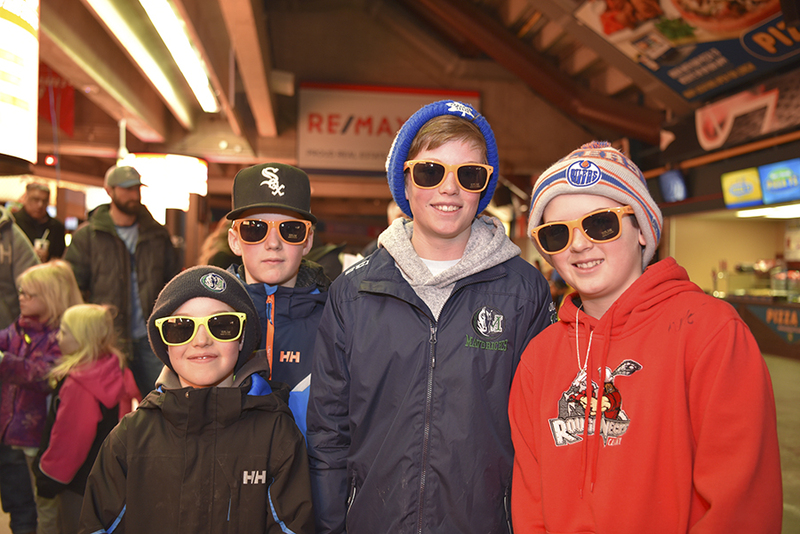 ConnecTeen sunglasses were handed out to hockey fans, and a PSA about ConnecTeen was played on the Jumbotron. The video was created by ConnecTeen volunteer, Ryan Costello. 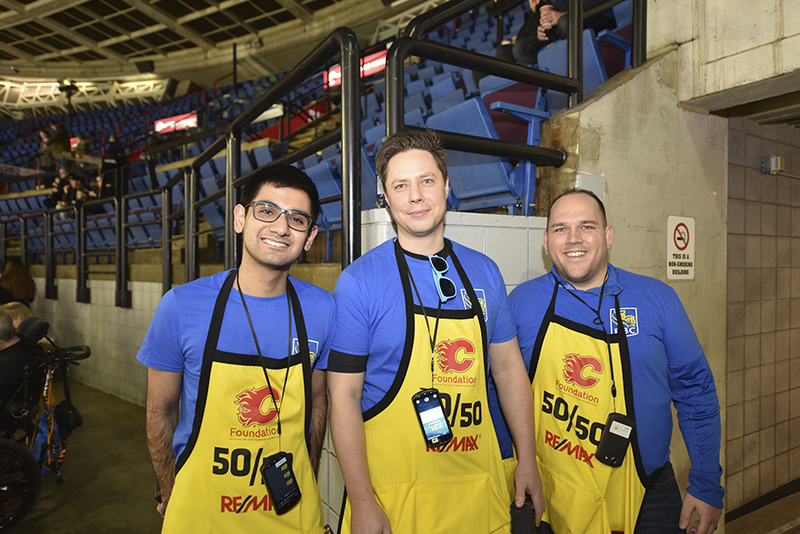 Thank you to the partners and volunteers who made the game a success: 50/50 ticket selling volunteers (including volunteers from RBC and ENMAX! ), Youth Central and Coca-Cola. 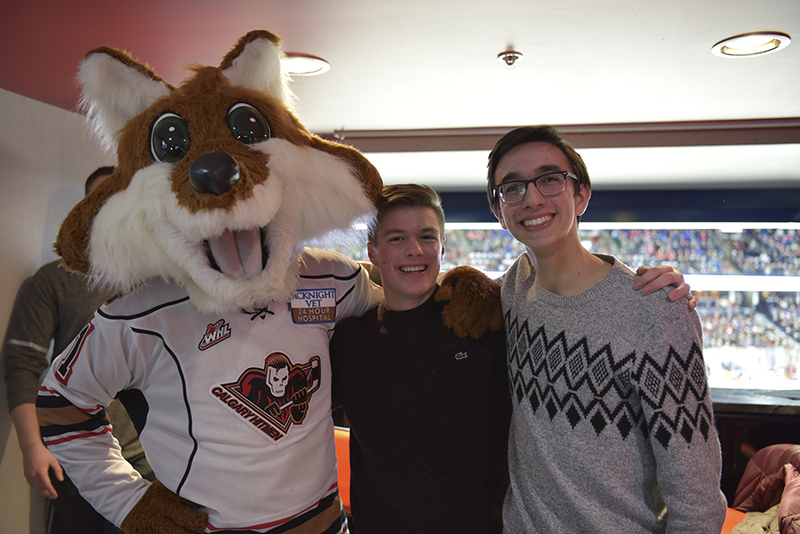 We’re grateful for our partnership with the Hitmen and the opportunity to inform fans about the services of ConnecTeen. Relive the fun by checking out some photos! See the full album on Facebook. 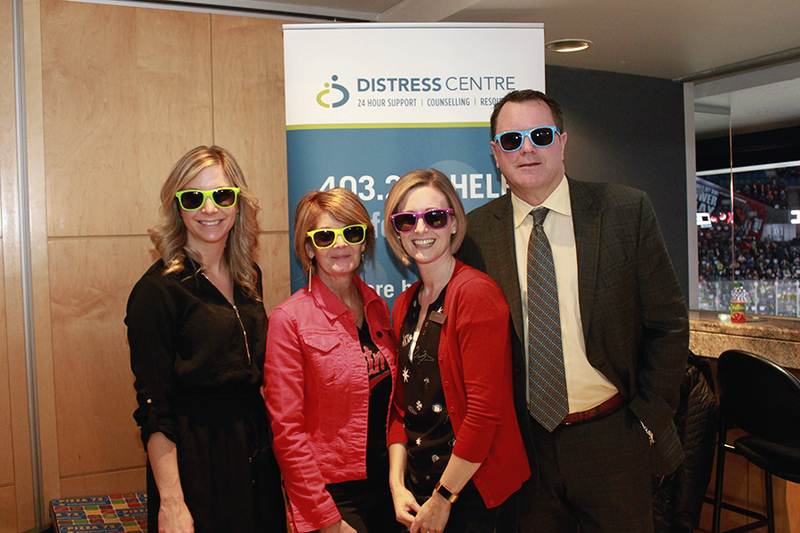 Melissa Blades (Calgary Hitmen, Roxanne Cote (Distress Centre), Jerilyn Dressler (DC), and Mike Moore (CH) rocking their ConnecTeen sunglasses. 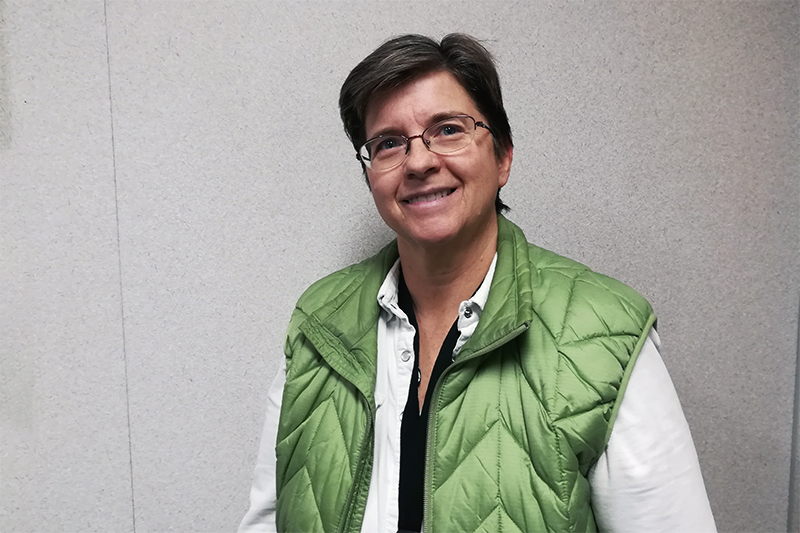 RBC employees volunteered to sell 50/50 tickets in support of ConnecTeen. 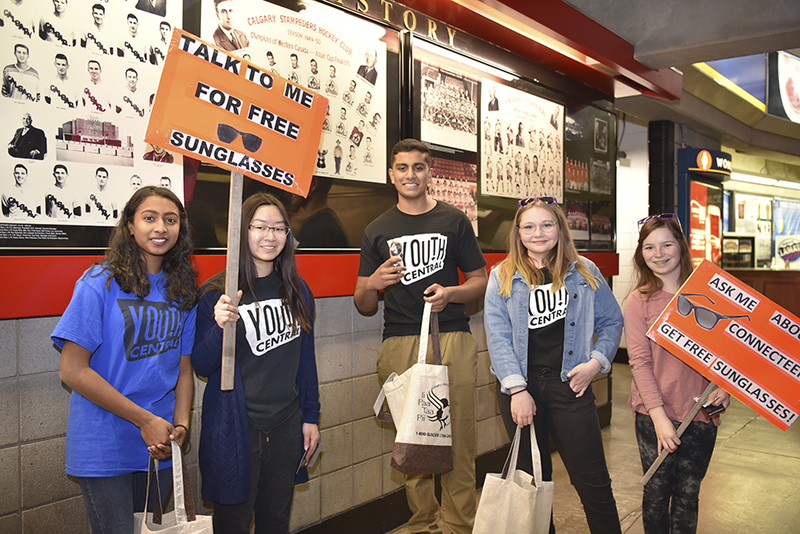 Youth Central volunteers handed out ConnecTeen sunglasses and letting fans know about ConnecTeen. Farley with Ryan Costello (right) and his friend.